food truck! Food Truck!! FOOD TRUCK!!!! Company next door was having some sorta huge open house today. Lotsa activity early this morning (6:15 am) setting up a tent, etc., getting prepared. 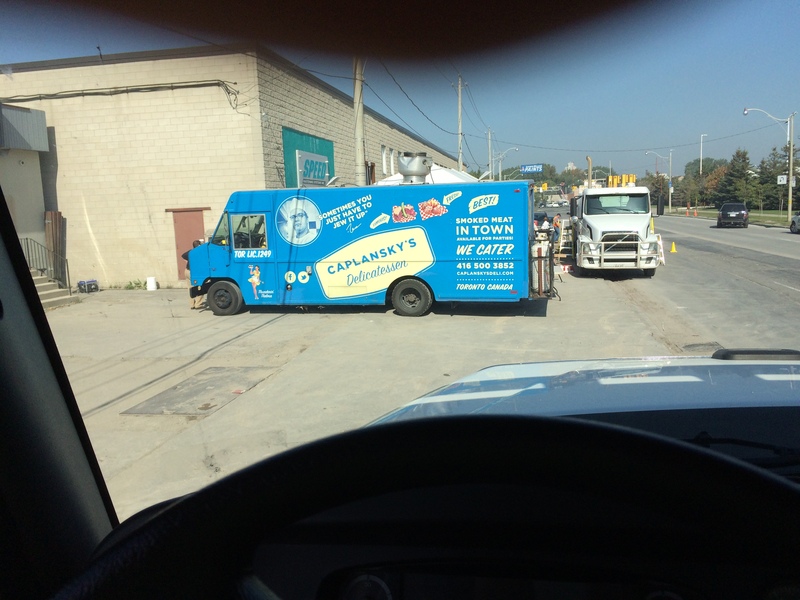 Lookie what else came (around 10 o’clock)… Caplansky’s food truck!! My man Daniel told me it was gonna be gratis too… hell, he even went and got my lunch for me, lol. I didn’t realize till later that they had 3 choices. 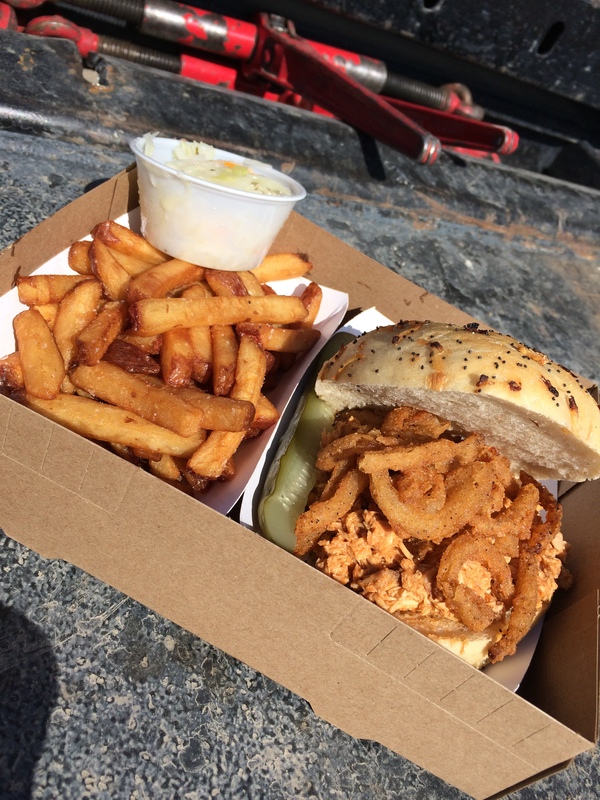 Mine’s the pulled chicken, btw (ginger ale to drink too). Was really good, even went back for another side of fries later in the day. There were tables and chairs for sitting ‘n eating too, was very well organized. Only a few pics as I was working! 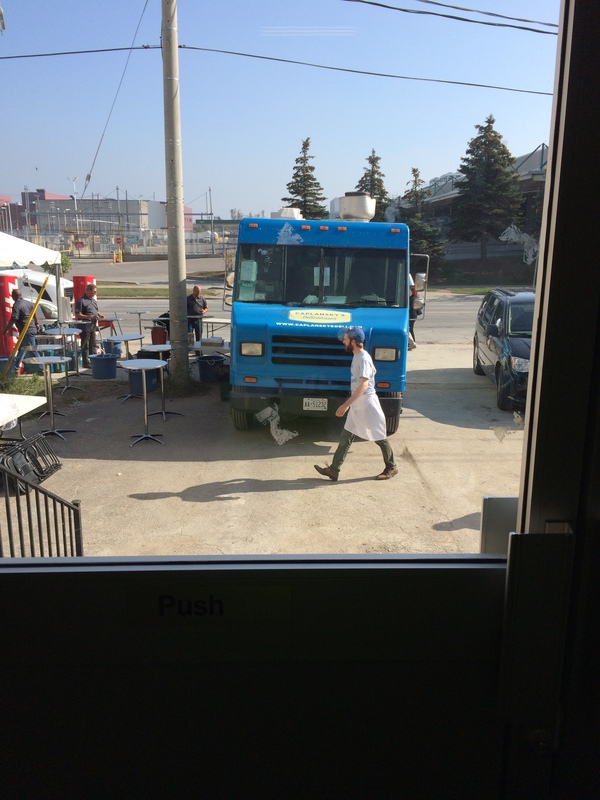 Categories: BBQ, drinks, food, life, luck, musings | Tags: Caplansky's, food truck, free food, french fries, gratis, pulled chicken, Toronto | Permalink.